Bitzios Consulting was engaged by Penrith City Council to complete a detailed investigation parking in the Penrith Central Business District. Occupancy and durations surveys of over 6,000 parking spaces was undertaken over two days, and used to assess the current parking operations. 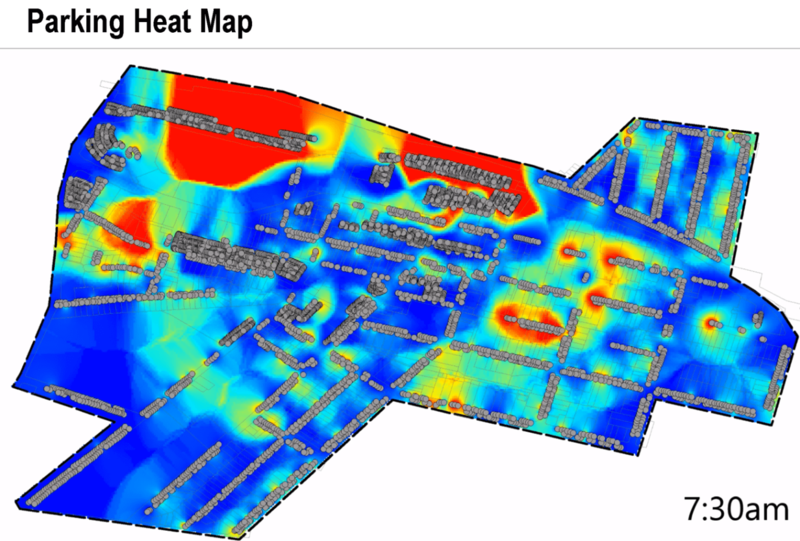 Time-lapse heat maps were developed to analyse parking demand throughout each day, including the effects of spill-over rail commuter parking on the CBD parking supply. The study identified existing parking patterns, trends and demands recommended mechanisms to control and manage the supply/demand balance for car parking.